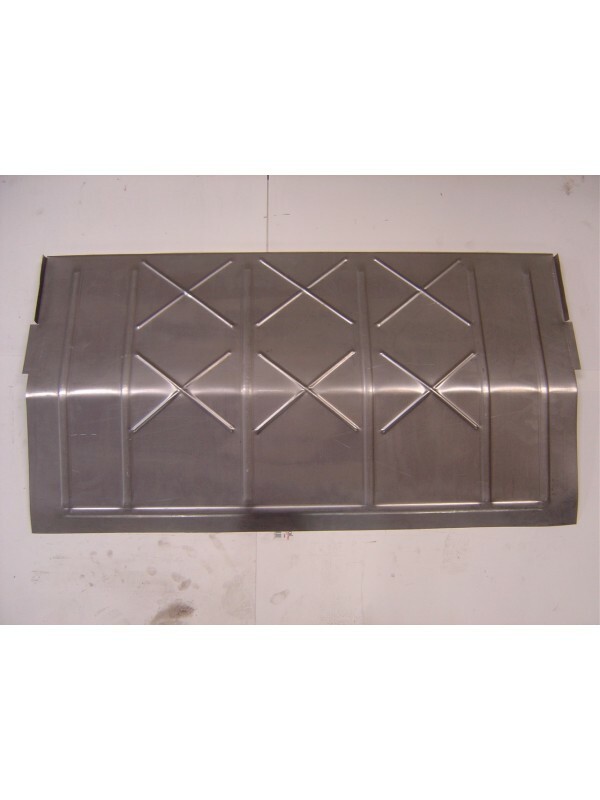 Angled Rumble Floorpan- This is the front panel in the back of the car. It is the panel your feet are at if you are sitting in the rumble seat, and the panel that is in the front of the trunk area if in a car with a trunk. Used on all Roadsters and all 1928-1929 Coupes as well as 1929-1930 Cabriolets without the adjustable seat. Steel. Made in the USA.